Wrap our wine in style and keep it cool. Our range of wine coolers offer stainless steel, acrylic and freezable neoprene gel styles, available in multiple colours. 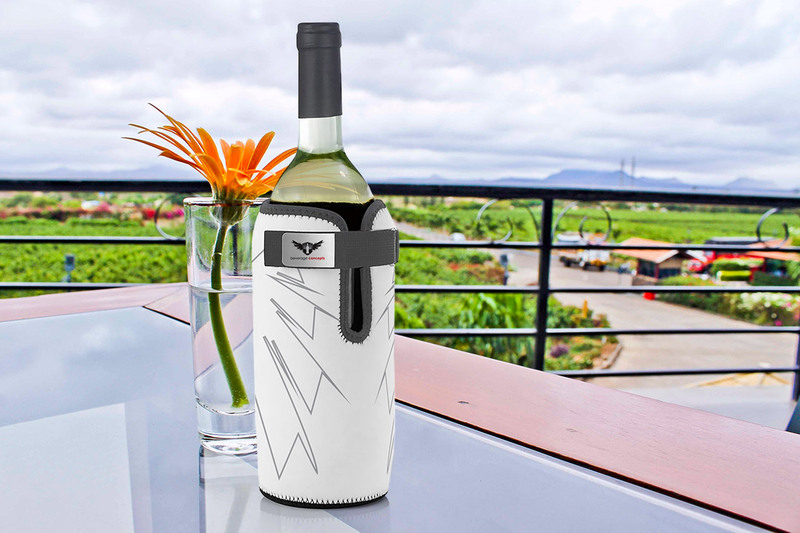 Keep your wine bottle visible with our acrylic options or go with our popular stainless-steel wine cooler which offers double-walled insulation and can be custom engraved with your brand. The freezable neoprene gel is perfect for transporting your favourite bottle and can be custom designed and coloured to match your specific brand request. Our wine coolers are a useful complementary item to help keep your wine cool while promoting your brand at the same time. They can also be reused and customised to match any unique design.